Akureyri is a beautiful old city, that was formed in the 9th century, it played an important historical role, as it was a site for allied units during the Second World War, also it is an important port and fishing place. To explore the old town, you need to go from city centre towards south, there you will see old theatre, school and hospital, which were built in 19th century and the oldest buildings, that were created at the end of 18th century. Apart from Old town, there are loads of places to enjoy in this area. Car Rental Iceland with the best company in Iceland: Reykjavík Auto. This gorgeous Lutheran Church was built in 1940 and is one of the symbols of Akureyri. If you visit the church, you will find traditional large 3200-pipe organ and much less traditional suspended ship, which is hanging from the ceiling. It might seem unusual for a church to have such attribute, but it gives Akureyrarkirkja the Nordic charm and shows the importance of the sea here. It is located 11 km north of the city and it is a unique place, that used to be a huge trading market during the Medieval time. Gasir was mentioned many times in Old Icelandic Sagas and according to archeologists it was an active trading place till 16th century, where most trade moved to Akureyri. The best time to visit Gasir is in July, when local craftsmen reconstructed Medieval market and sell hand made items here. The island is located in the far away north and is famous for having one hundred local habitants and thousands of seabirds. Grimsey is surrounded by Arctic Ocean and has an amazing, spectacular views. During summer season there is no nights, so you can hear birds all day long, however during winter, when there is almost no daylight, most birds fly away. This beautiful botanic garden has a unique collection of icelandic plants and is the best place for picnic in a sunny day. The public park was opened in 1912 and the Botanic section appeared in 1957. Lystigarðurinn is opened from the beginning of June till the end of September and is a great place to explore Icelandic flora. 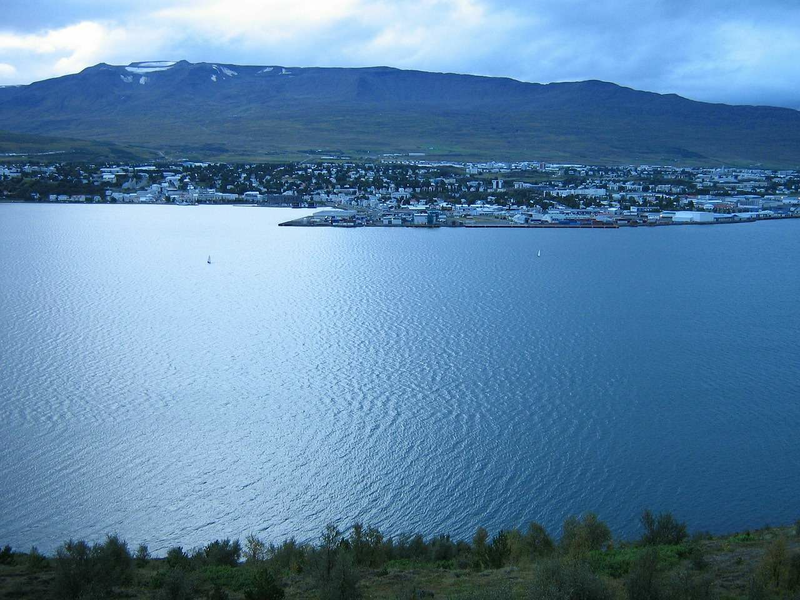 It is a mountain that is located in Akureyri, it is a popular place for hiking. Usually it takes around six hours to walk to the peak of Sulur and back. It is a great place for taking photos as it has unique landscape due to the volcanic eruptions 8-9 millions years ago.